Ned Kelly: I was the hero of Hughes Creek. I can still see the glint in me Da's eye as he looked down at me, his hand on me shoulder. What did he call me that day? Ah, what did Da call me? That's right. He called me Sunshine. This film is a Quirk. I liked it. Due to reading bad reviews and being told by friends that they couldn't believe how bad it was, I didn't go and see this film at the cinema. After watching it on DVD, I have to say I regret that now. I'm not saying it is brilliant, but I would venture to say that it is a good movie. I enjoyed it. People have skulls thicker than Ned's helmet if they go to see a movie like this and expect it to be a documentary. If you read up the actual history behind most movies based on historical figures, there is usually a huge difference between the fact and the fictional portrayal. I don't think Ganghis Kahn has ever once been portrayed even remotely close to historical fact. What kind of man Ned Kelly actually was is a matter of debate, and quite passionate it seems. In spite of the efforts of governments and some historians, Ned Kelly has become a legend. Legends are stories, and stories say as much about those who tell and listen to them as they do about the actual figure himself. Ned Kelly has become such a popular identity because he does represent that aspect of Australian culture that doesn't trust or accept authority. A society in which there is no dissent or challenge to authority is crazier and more dangerous than any bushranger. 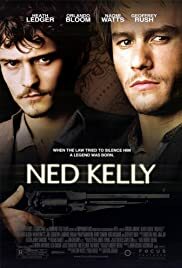 So not expecting this to be an accurate recreation of the historical Kelly gang, I actually found it a surprisingly unencumbered and refreshing movie. It was sentimental and romantic, but thankfully not anywhere as cheesy as it could have been; for my fellow Australians, watch 'The Lighthorseman' and you will see what I mean (it is a pity the way that story was treated so poorly). Perhaps the love affair business could have been forsaken for a bit more detail in other areas, such as the shooting of the troopers. Ironically, I actually enjoyed the movie because of that, because it would be those details that most of the focus on Ned's story would dwell. And they are the details of the story that are best discovered by reading the different viewpoints given by the various historians. 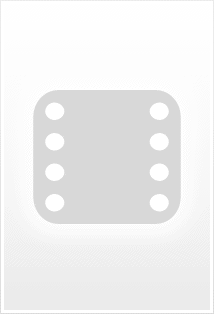 This movie was always going to have a hard time, having make a compromise of appealing to a global movie market (to pay the pills) and the legend as it means to Australians; perhaps a little of Ned's spirit is in this movie, because I think it rebelled against people's expectations, and unfortunately missed both targets. Fortunately it made for an enjoyable quirk of a film. For me it was an unexpected kind of movie about Ned, and that is why I liked it. Orlando Bloom's performance did a lot for the movie too - he really added something. I think he would have enjoyed being the monster instead of the pretty elf, for a change. When you consider some other movies that are far worse than this one, your opinion of this movie should be reconsidered. Send me this on DVD for christmas rather than Croc Dundee or The Man From Snowy River anytime. 50 of 63 people found this review helpful. Was this review helpful to you?